Whether you are new to management or need to upgrade your skills, the Certificate in Management Development (CMD) covers a full range of management and leadership responsibilities. to meet your individual performance and training requirements within your demanding schedule. and 35 optional hours (five workshop days). Full participation and attendance is required to receive course credit. Winter 2019 Core Courses - begin on January 24, 2019. You can register for each course individually or for all of them as a Core Course Package. Check out the Events Calendar for the current list of optional courses and dates which are designated "CMD Optional Course" in the description. The current courses offerings may include: Project Management, Performance Conversations, Communication & Relationship Awareness for Leaders, Negotiation Essentials, HR Fundamentals, Leading Successful Presentations, Problem Solving and Decision Making, Crucial Conversations, The Power of Mind Mapping, Crucial Accountability, Building Cultural Competence, Writing for Impact and Results, The Power of Story for Leadership, Managing Mental Health, Dealing with Defensiveness / Managing Abrasive Behaviour, Managing Four Generations in the Workplace, Conducting Workplace Investigations, Mental Health First Aid, and more. 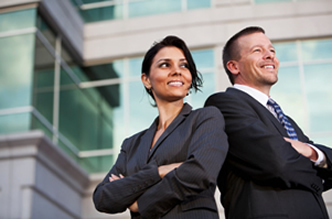 Certificate in Applied Management: Organizational Effectiveness (CAM:OE). Register here for the complete 5 Core Course package! Fees include a light lunch at each workshop, along with the required EQ-i 2.0 ($80) and MBTI ($60) questionnaires for two of the workshops. Econo Wall and Ceilings Ltd.
Manitoba Information and Communications Tech. Tundra Oil and Gas Ltd.